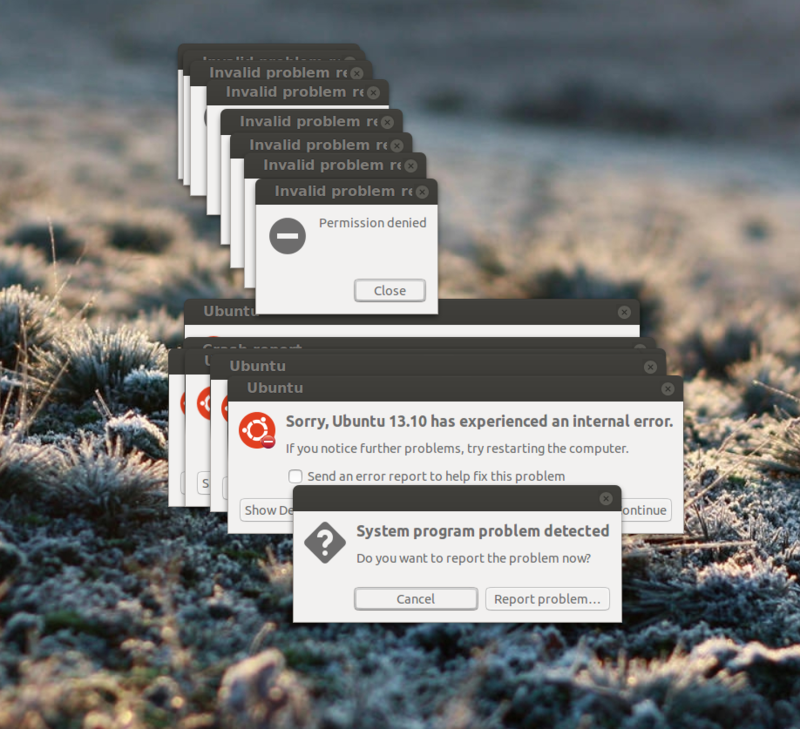 For regular users, windows are a burden, and more than one appearing that is not the result of something they asked for is a terrible experience. It's scary, intimidating, and turns their machine into a useless heap and makes them feel helpless until they can clean away the mess. It damages their trust in the machine. A single window is manageable. They can take that effort. That can be digested. Apport UI should open a single window, regardless of how many reports it wishes to send. If I have a wonky hardware device or a long-running machine, getting all the scheduled reports at once is almost useless. This should be a good 100 Papercuts bug to fix.